Whether you choose Apple, Samsung or Android Pay, adding your NorState VISA Credit & Debit Cards is easy and convenient! 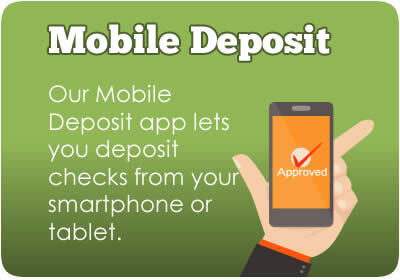 Download the Apple Pay app. Use your iSight camera to instantly capture your card information, enter it manually, or add from your iTunes account. To pay at stores, simply hold your iPhone 6 near the contactless reader with your finger on Touch ID. When you pay with your NorState FCU VISA Card using Apple Pay, you still get all the rewards, benefits, and securities your card provides. 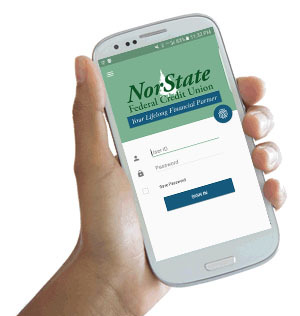 Take a picture of your NorState FCU VISA with your device's camera. Secure it with your fingerprint and backup PIN & you'll be ready to go! When you pay with your NorState FCU VISA Card using Samsung Pay, you still get all the rewards, benefits, and securities your card provides. 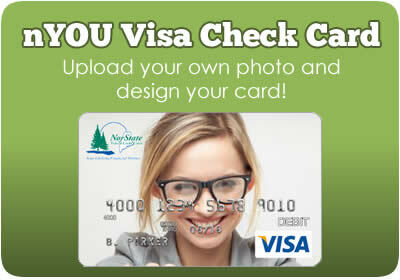 Add your NorState VISA card - It's as simple as snapping a photo!